Preheat oven to 375° F (190° C). Generously grease a flat baking sheet with vegetable oil. Set out three shallow pie dishes or deep plates: one with flour, one with beaten egg, one with Char-it seasoned bread crumbs. Make sure your boneless, skinless chicken breasts are thin by either slicing them in half or pounding them flat. Dip the chicken first into flour, shaking off any excess. Then dip it into the egg, shaking off any excess. 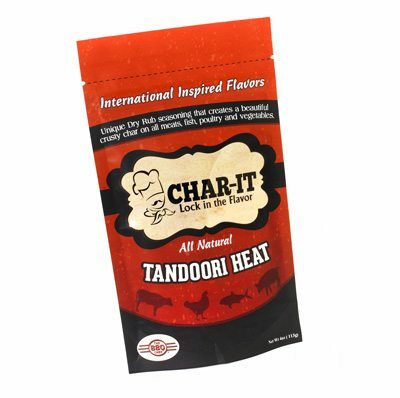 Finally, dip it into the bread crumbs seasoned with Char-it American Classic. 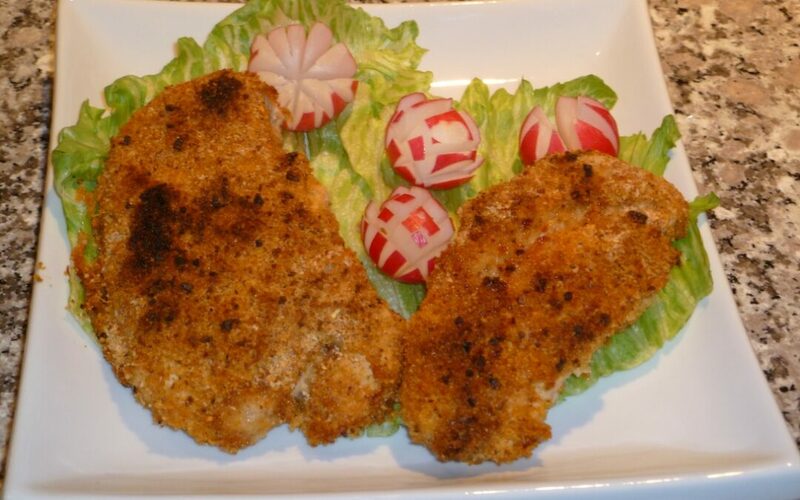 Lay the breaded chicken on the greased baking sheet. Sprinkle some drops of vegetable oil over each chicken piece. Then bake for 6-8 minutes on each side, or until the chicken is white in the middle. Bake time depends on the thickness of the chicken.